The snakeflies in the Raphidiidae family are terrestrial insects that live mainly in the tree canopy. 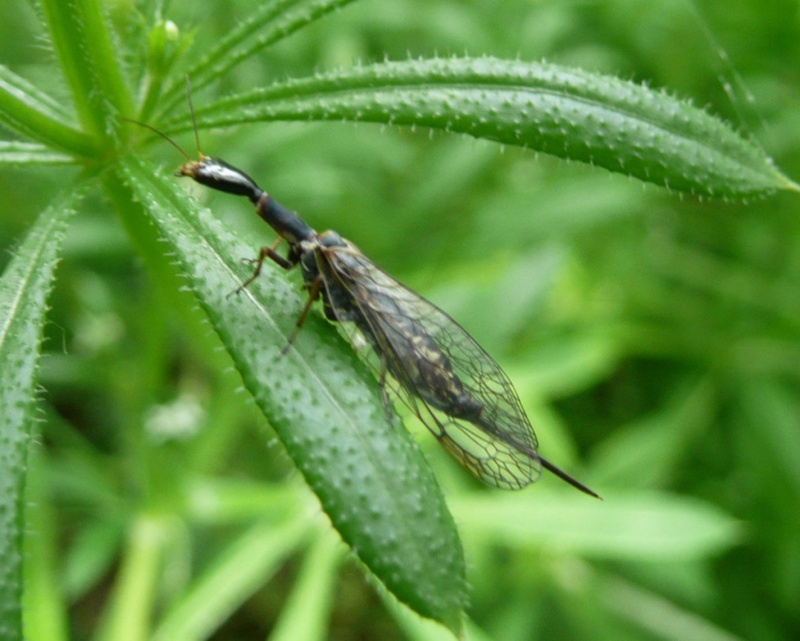 Females can be distinguished from males by the presence of a long ovipositor. Thought to spend most of their time in the tops of trees but can be seen on tree trunks from time to time, especially on Oak. 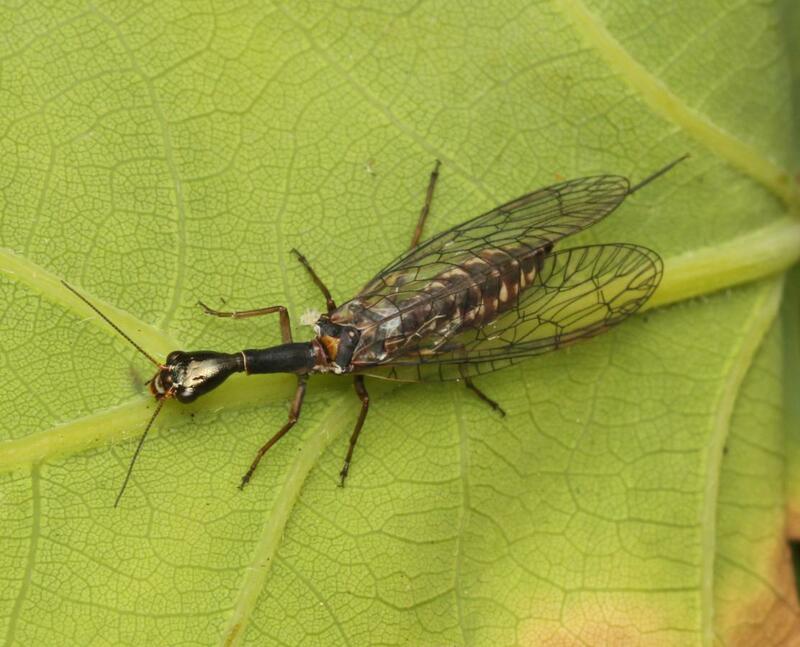 Snake Flies seem poorly recorded insects but they are certainly some of the strangest and most difficult to find. This species seems to be widespread and fairly frequently encountered in England at least, with fewer records from elsewhere in Britain. Status in Leicestershire and Rutland is not known but thought to be fairly frequent.